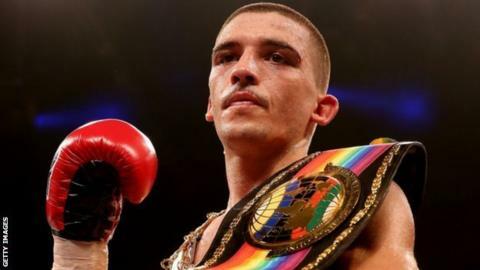 Lee Selby will defend his IBF world featherweight title for the first time against Mexican Fernando Montiel in the United States in October. Selby, 28, beat Evgeny Gradovich in May to become Wales' 13th world champion. He will fight 36-year-old Montiel at the Gila River Arena in Phoenix, Arizona on Wednesday, 14 October. Selby, who has lost once in 22 fights, signed up with Floyd Mayweather's advisor Al Haymon in August with the aim of fighting in the United States. Montiel, a former two-weight world champion, has secured 39 of his 54 wins by knockout, with four defeats and two draws also on his record.